Saw the car and met Grady - both are class acts! I was happy to get my magazines in the mail. What a great cover photo! I assume that was taken at the drag strip? Great story and photos. First time I've had any thing published ( old photos) Once again, Thanks to Grady and Mike for a wonderful job on the car. I'm off to get a magazine display frame at Michael's and possibly look into having a poster made of the complete article. Cliff P.S. I bought all the copies that Barnes and Noble had on the shelf! A great read. I had posted on the CRG yesterday when I saw the Hot Rod write up. 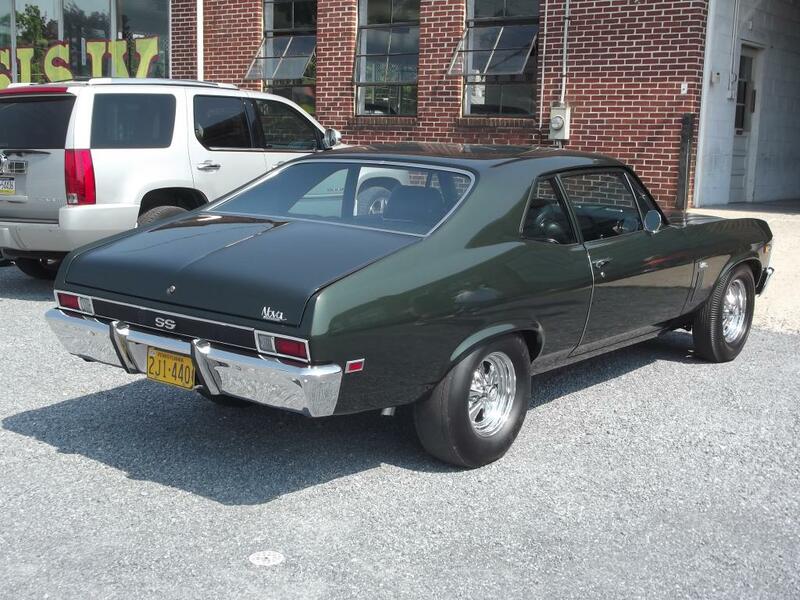 Mike: very thorough restoration, love all the step by step pics and description. Grady: WTG finding all the day 2 components, and really having a great vision of the finished product with all the speed shop goodies a guy would have decked out a muscle car with. It can be a tough search to locate those items, especially in good condition, since many times they were abused. Both of you had a lot of passion in the assembly/resto of the car, and it shows. Congrats to you guys. I just ran across this thread again today. Just as enjoyable to read through as it was the first time. Awesome work Grady and Mike!!!!! It is a awesome car, saw it again last summer at a car show in the bright sun, WOW ! Mike: That Burnished Brown color really needs to be seen in the sunlight to be totally appreciated. Gold and bronze color flakes in the paint really stand out then. At dusk or in the evening the color looks almost black. Great job, Mike! Don. I read the thread again just last week and come back to this car often. In fact, it gave me the inspiration to do my own Day II conversion because of just how well Grady's car had hit the mark. The car is stunning and the workmanship is first rate! Thanks for the share of this build to both Grady & Mike. It definitely inspires others! Couldn’t agree more Graeme. Eventually, my ‘69 will have some similar race items. .....but, I'm bias to Day 2 articles. Any more pics and details on this beauty? I enjoy going through this thread every so often. Any info on tire sizes on this Nova, particularly the front ?